What if in the treatment of depression, food prescriptions replaced antidepressant drugs? There are so many nutritional approaches and natural products with proven clinical benefit in boosting positive mood that it is only a matter of time. A new study with blueberries is quite interesting as it looked at the impact of blueberry consumption on higher brain function and mood in children and young adults. 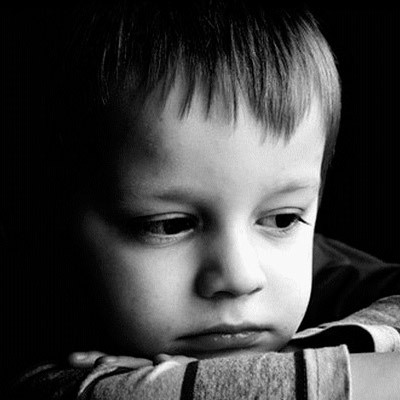 Depression is a big issue in children and young adults just as it is in adults. According to recent surveys, more than 30% of young adults (ages 15-24) have felt so depressed that it hindered their ability to function and 6% have seriously considered suicide in the preceding 12 months. Suicide is the second leading cause of death in this age group (accidents are number one). Given the relative ineffectiveness and possible adverse reactions to prescription antidepressant drugs, especially in children and young adults, it is critical to look to diet and natural approaches. I want to encourage you to read this entire article as I think it is very provocative. In addition, we have a Free Gift from our friends at GreenMedInfo that we definitely want you to take advantage of and pass on to friends and family. If you follow my work, you know that I love flavonoids. These plant pigments are responsible for the colors in many fruits, vegetables, and plants as well as their medicinal properties. More than 8,000 types of flavonoid compounds exist in nature. Different flavonoids will provide different benefits. They are incredible compounds. Some of the most beneficial flavonoids are the anthocyanins responsible for the purple to blue colors of blueberries. Among the many health benefits these compounds produce is improving brain function. This ability to improve brain function with blueberry ingestion may also help relieve depression and more. A common side effect of depression is impaired executive functioning (EF). EF is an umbrella term, describing mental processes such as working memory, planning, problem-solving, cognitive flexibility, inhibitory control, directing attention, thoughts and, therefore, behavior. In children and adolescents this area is still developing and maturing. Here is an important consideration, if the development of the frontal region during this critical period of life is disturbed it can have a long-lasting impact. It can be disturbed as a result of a physical trauma like a concussion or it can be disturbed as a result of a depressive episode in childhood or as a young adult. That goes a long way in explaining why depression that occurs during adolescence and early adulthood is associated with long-term impairments of EF into adult life. During a depressive episode, an impaired EF is an underlying factor in reinforcing negative self-perception and low mood. What this means later is getting stuck in a pattern that can be difficult to break free from. Studies with single-doses of flavonoids as well as longer ingestion periods of flavonoid supplements have produced improvements in the aspects of EF negatively affected by depression. Furthermore, there are numerous studies showing the underlying mechanisms of action that explain the beneficial effects of flavonoids on brain function. These include increases in blood flow to the brain, protecting the brain against harmful compounds by reinforcing the blood-brain-barrier, reducing brain cell damage via anti-inflammatory and anti-oxidative effects, and positively stimulating many brain cell signaling pathways. There are also numerous population-based studies showing increased consumption of flavonoid-rich fruits predicts a lower incidence of depression in later life. And, there is also data that indicates that consumption of flavonoid-rich foods in children is associated with improved mental health in children and adolescents. Two randomized, placebo-controlled, double-blind studies were designed to assess the immediate effects of drinking a flavonoid-rich wild blueberry (WBB) drink containing 253 mg anthocyanins on mood two hours after consumption. The two-hour time period reflects the peak absorption and metabolism of the anthocyanins. In the first study, 21 young adults (18-21 years old) consumed the WBB drink and a matched placebo in a cross-over design. In the second study, 50 children (7-10 years old) were randomly assigned to consume either a flavonoid-rich blueberry juice or a matched placebo. In both studies, and mood was assessed using the Positive and Negative Affect Schedule before and 2 hours after consumption of the drinks. In both studies, the blueberry ingestion increased Positive Affect (mood), but had no effect on Negative Affect compared to placebo. The distinctive effect of flavonoids on Positive Affect (PA) and Negative Affect (NA) is interesting. A low PA is more highly linked to depression, and high NA is more closely related to anxiety. The results from the study indicate that blueberry consumption may be specific to depressive disorders. However, since both the WBB and placebo drink contained simple sugars, these may have led to an insulin effect that helped enhance the uptake of circulating tryptophan and the resultant increase in brain serotonin levels. Okay, so your thought may be that this study is interesting, but what is the significance of the findings? A person’s mood is, by definition, a short-term experience. Sustained periods of low mood (dysphoria) is a strong predictor of developing a major depressive disorder. The significance of the study is that if blueberry anthocyanin ingestion produces an immediate effect on improving positive mood that repeated or sustained consumption of these flavonoids may help prevent dysphoria, and thus, major depression. The study is further significant because it seems that depression tends to emerge for the first time during adolescence or early adulthood, and is likely to reemerge as a relapse later in life. Therefore, increasing anthocyanin content during childhood, adolescence, and early adulthood could have a profound effect on decreasing the incidence of not only depression during these time periods, but also later in life as well. Now, there are a lot of other nutritional factors that also have been shown to be critical during this time-period as well. Previously, I highlighted an impressive study with fish oil supplementation as a treatment for depression in young adults. Here is where the free gift comes into play, my friend Sayer Ji, is offering my email newsletter supporters a free gift through his website GreenMedInfo. It is a very informative report on natural approaches to depression. It will bring you up to date on the latest brain science as it pertains to models of depression and an overview of natural treatments that are scientifically shown to be safe and effective in relieving symptoms of depression. To get this valuable report absolutely free CLICK HERE. Khalid S, Barfoot KL, May G, et al. Effects of Acute Blueberry Flavonoids on Mood in Children and Young Adults. Nutrients. 2017 Feb 20;9(2). pii: E158. doi: 10.3390/nu9020158.